Three Graces Jackie Halterneck Bikini £148 £248 Free UK Shipping! Adriana Degreas Denim Bikini Set Unavailable £254 Free UK Shipping! Heidi Klein Ruched Halterneck Bikini Top £139 Free UK Shipping! Lisa Marie Ferna... Yasmin Seersucker Triangle Bikini £142 £353 Free UK Shipping! Mara Hoffman Ruchd Bikini Top £139 Free UK Shipping! 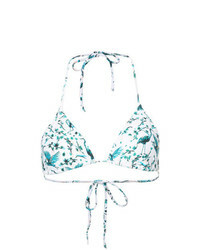 Cynthia Rowley Betty Scallop Bikini Top £106 Free UK Shipping! Belusso Bliss Reversible Bikini £210 Free UK Shipping!